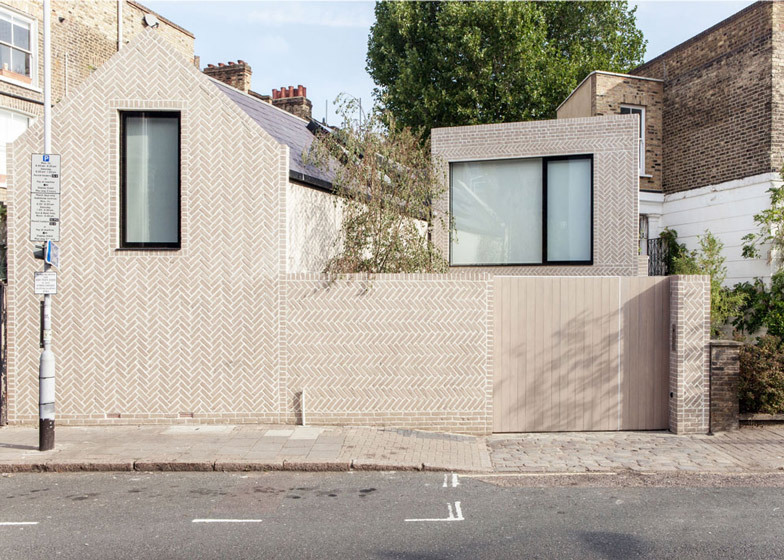 Pale bricks are arranged in a herringbone pattern on the outer walls of this compact house in north-east London that architect Zoe Chan designed and built for herself (+ slideshow). 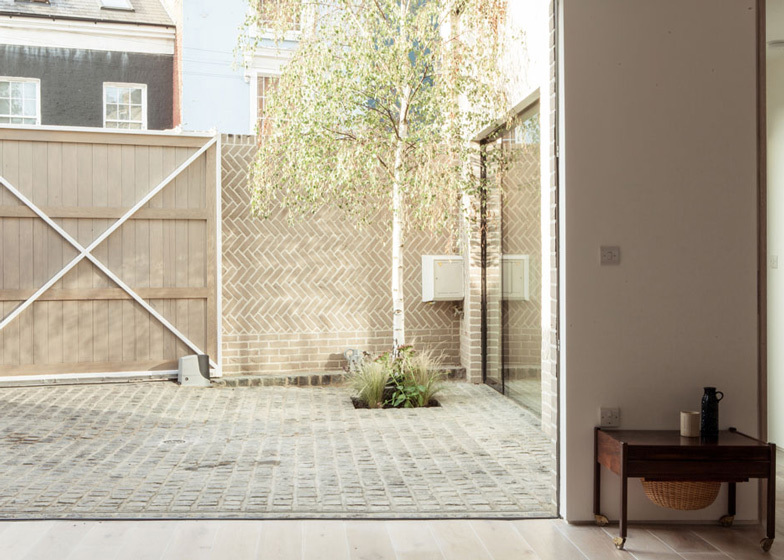 The Atelier ChanChan principal wanted the house to relate to the Victorian terraces that characterise London's housing stock but to also have its own character, so she chose a steel frame infilled with a non-load-bearing herringbone brickwork, instead of the typical English and Flemish brick bonds. 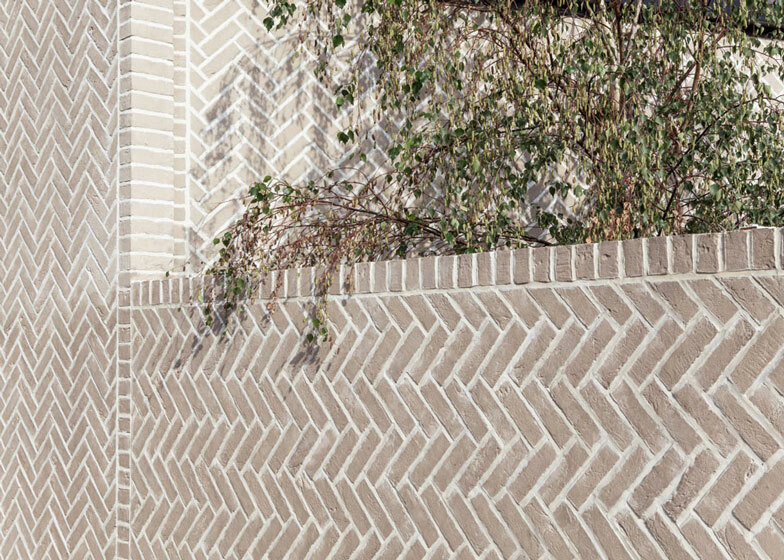 "The choice to use brick creates a visual reference to the masonry construction of this particular street," Chan told Dezeen. "However this isn't a terrace, it's quite different in character, so I chose to create my own personal expression using brickwork as the basis." Named Herringbone House, the two-storey structure slots into a non-linear plot that previously accommodated a series of derelict buildings, all of which had to be demolished beforehand. "It was in such bad repair, so everything needed to come down," said Chan. One of the biggest challenges was ensuring that light would be able to reach all parts of the 30-metre-long plot. As such, the house takes on an L-shaped plan that wraps around private courtyards at the front and back to allow light to permeate both floors. 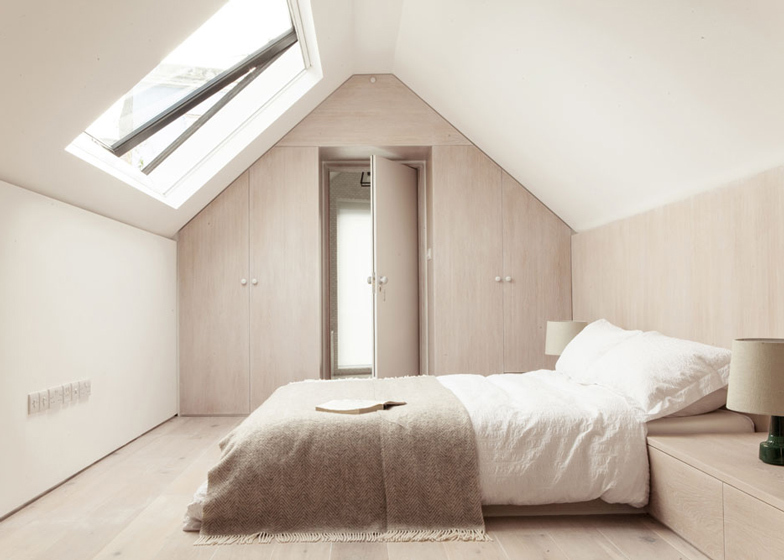 Two skylights puncture the gabled roof to draw extra light in from above. 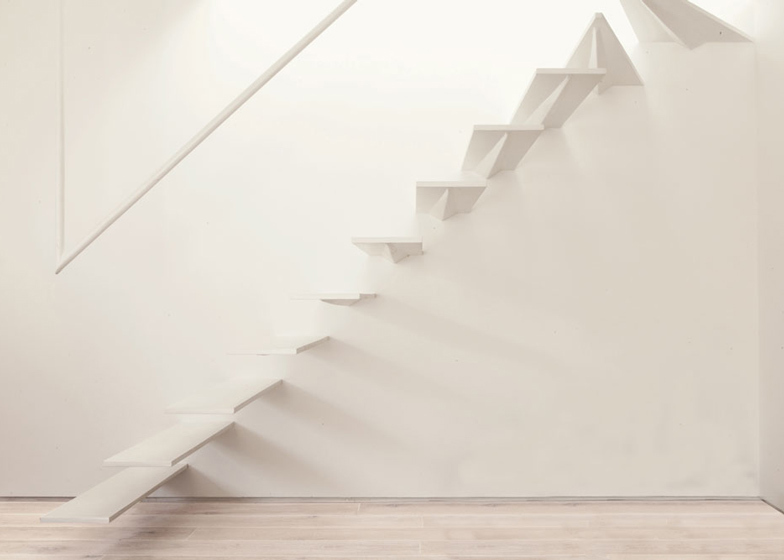 One sits directly above the stairwell, where Chan has added a steel staircase with open risers to allow more light through. 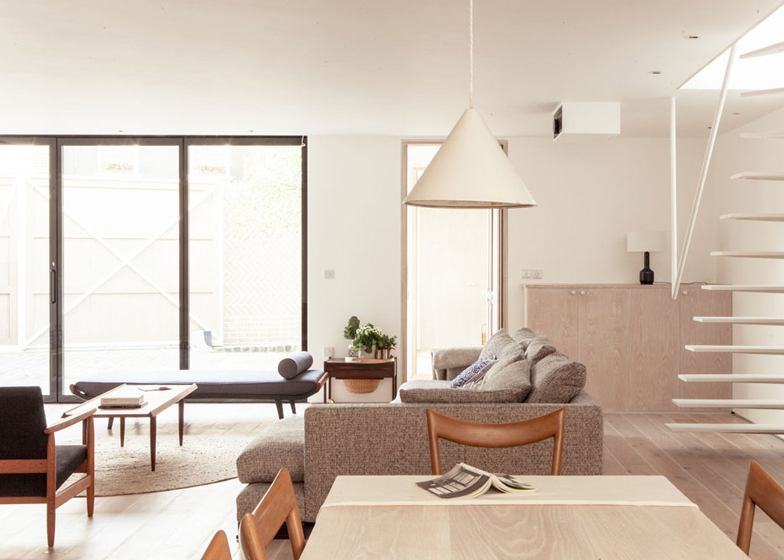 For the interior, white-washed timber floors and surfaces are complemented by Scandinavian furniture, and a variety of soft grey and pinkish hues. "I wanted to use materials that are very natural but also warm," said Chan. 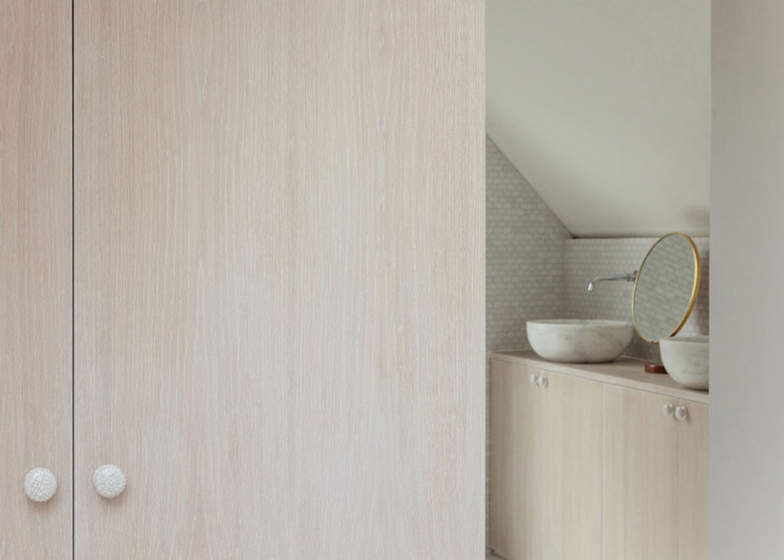 "The idea was to maximise light, but I didn't want it to be sterile, so I drew inspiration from Scandinavian architecture and its light natural palettes." An open-plan layout on the ground floor brings the living room and kitchen alongside one another, while a small study sits to one side and opens out to the front courtyard through a wall of glazing. Three bedrooms are located beneath the sloping ceilings of the top floor and feature built-in storage units designed to add to the thickness of the walls. Photography is by Mike Tsang.